Vice President Mike Pence tweeted on Sunday that he left an NFL game after several players from the San Francisco 49ers knelt during the national anthem. 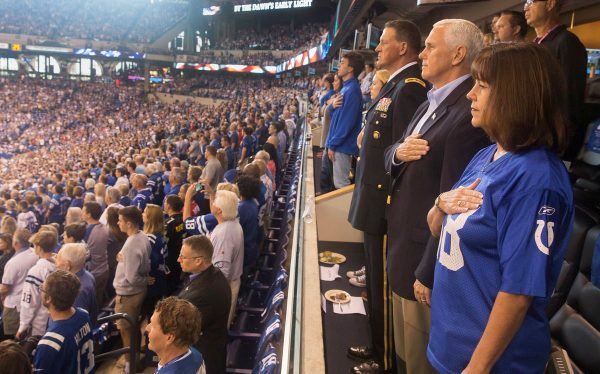 “I left today’s Colts game because @POTUS and I will not dignify any event that disrespects our soldiers, our Flag, or our National Anthem,” Pence posted to his Twitter account on Sunday. 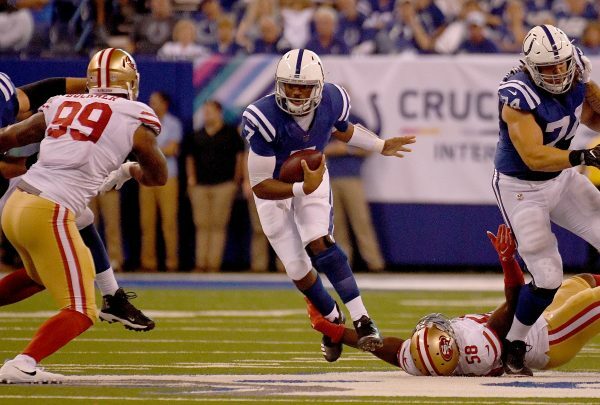 The game, between the Indianapolis Colts and the 49ers, was being played in Indianapolis. Both Pence and President Donald Trump have been outspoken about the kneeling, saying standing for the anthem is about respect for the flag and the country. 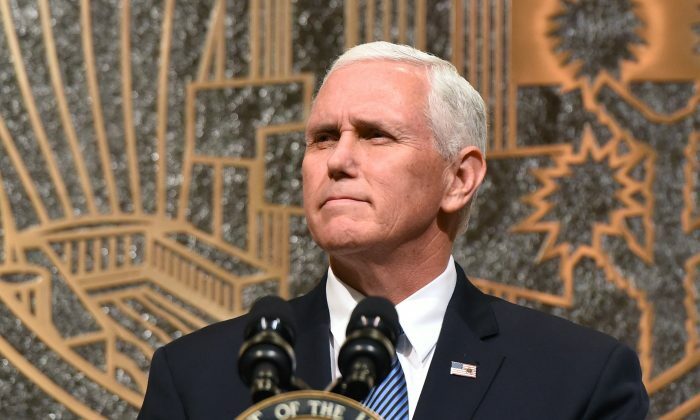 “We’ve all got a right to our opinions, but I don’t think it’s too much to ask the players in the National Football League to stand for our national anthem,” Pence said at a rally in Alabama on Sept. 22. The protesting started last year when when Colin Kaepernick, who was playing for the 49ers, sat down during the anthem, saying he did it to protest the oppression of black people in America, particularly police violence against black people. The controversy grew during the 2017 season and Trump weighed in on Twitter several times, decrying the NFL for not stepping in. He said the issue about standing for the flag is not about race, but respect for the country and the flag. “If NFL fans refuse to go to games until players stop disrespecting our Flag & Country, you will see change take place fast. Fire or suspend!” Trump tweeted on Sept. 24. Goodell talked to about two dozen owners and players about the anthem protests at a meeting on Sept. 26, according to NJ.com. Since then, some players continue to protest, while other teams have said they will stand during the anthem and protest in other ways. Either way, the NFL is experiencing a drop in viewership and ticket sales compared to last year. Ticket sales have shown a 7 percent decrease compared to the same time last year, according to online ticket reseller TickPick, the Washington Examiner reported. TV ratings are down 11 percent at the three-week mark compared to the same time last year. That trend is a continuation of a yearlong slide that started last year, with ratings falling 8 percent compared to 2015.